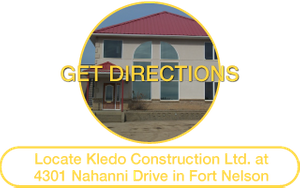 Kledo Construction Ltd. is a family-owned and -run gravel and road construction business that has been providing quality construction work for over 35 years. Our motto is "Quality, Service, and Knowledge at competitive prices." Our company is committed to customer service and doing the job right. If you need a road constructed, seismic line cutting, access roads, pads, or other infrastructure necessary for oilfield construction, Kledo Construction Ltd. is committed to using the right equipment for the job with an experienced operator who knows how to do the job right. Ever since our company was organized, Kledo Construction Ltd. has worked with most of the major oil and gas companies in the area to create well sites, construction access roads, pads, and infrastructure. 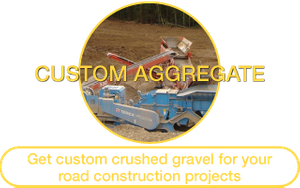 We handle gravel and road construction for both summer and winter roads. We work with oilfield construction by handling lease site preparation and seismic line cutting. We also install both permanent and temporary bridges as needed. 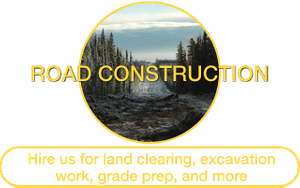 We are based in Fort Nelson, British Columbia and provide road construction throughout northeastern British Columbia, Northwest Territories, and Yukon. Kledo is the company that is committed to doing the best job at competitive prices. Our current owners grew up in the business and learned proper operation of the heavy equipment through years of work. Each has spent a number of years as a foreman for Kledo handling many different jobs. You can count on us to have the experience you require to do the job at hand. We also maintain a large fleet of graders, scrapers, rock trucks, tractors, and other equipment so that we are ready when you need us. Kledo Construction Ltd. is ready to meet all of your road construction needs whether you are in industry, forestry or government. Contact us today to discuss your job and get the ball rolling. If you’re interested in joining the team at Kledo Construction Ltd., send us your resume. 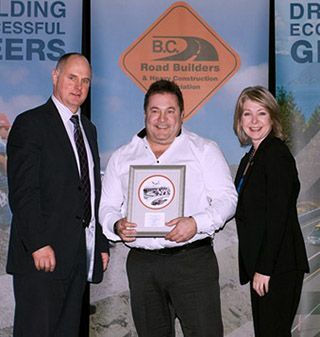 The awards recognize construction and maintenance companies demonstrating excellence in the categories of grading, paving, bridges and structures, and highway maintenance throughout the province. The 10th annual awards were hosted by the B.C. Road Builders & Heavy Construction Association on December 7, 2012 in Victoria, BC.